ECSA is an internal association within IARC and therefore only open to early career scientists who are currently affiliated with IARC. All new students and postdocs are automatically part of ECSA and are eligible to benefit from any activities organized by the Association. The ECSA Organizing Committee supports, organizes and implements ECSA activities. Any IARC ECSA member can volunteer for the Organizing Committee. Career Development and Training Commission: organizes forums and meetings with international experts for career development and educational training of IARC ECSA members. Peer Support and Social Activities Commission: plans social and special events for its members to encourage networking between Early Career Scientists, and provides support to members as required. Buddy Programme: This aims to match an incoming ECVS (i.e. a newcomer to IARC) with a current ECVS (i.e. ECS buddy) to help the newcomer integrate into IARC and Lyon. The ECVS buddy will become an additional source of support at IARC. Information Sharing: Regular reporting of ECSA activities and monthly newsletters are issued to showcase the activities of the ECSA community. 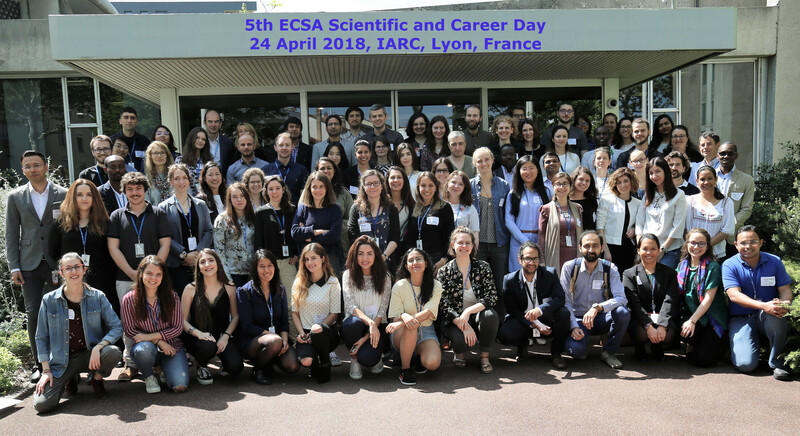 ECSA holds an annual ECSA Scientific and Career Day which is a dedicated day of interesting presentations and interactive seminars on important issues related to career development including a career panel with well-known international scientists. ECSA Day gives members an opportunity to present their research and get feedback from their colleagues and peers while learning from each other.